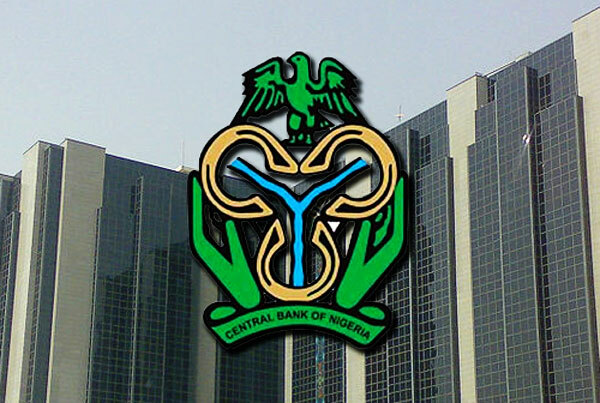 Bank customers involved in fraudulent activities will now be placed under the radar of the Central Bank of Nigeria (CBN). The country’s apex bank disclosed yesterday that it was working out regulatory framework that would enable it either blacklist these set of bank customers or put them on watch-list across the banking industry. Speaking at the Finance Correspondents Association of Nigeria (FICAN) Bi-Monthly Forum in Lagos, CBN Director, Banking and Payment Systems Department, Mr Dipo Fatokun, said the Bank Verification Number (BVN) it recently introduced would be used to achieve this. Mr Fatokun explained that the BVN involves capturing of customers’ physiological or behavioural attributes like fingerprint, signature among others which is coordinated by the CBN and banks in collaboration with the Nigeria Interbank Settlement System (NIBSS). At the event hosted by the CBN, Mr Fatokun, who spoke on the theme ‘Recent Developments in the Electronic Payments System and Implications for Consumers of Electronic Payment Services’ disclosed that data from the apex bank showed that although e-fraud rate in terms of value dropped by 63 per cent last year, after the BVN introduction and improved collaboration among banks via the fraud desks, the total fraud volume rose significantly by 683 per cent within the year compared to 2014 figures. He further disclosed that Nigeria experienced a total of 3,500 cyber-attacks with 70 per cent success rate and loss of $450 million within the last one year mainly through cross channel fraud, data theft, email spooling, phishing, shoulder surfing and underground websites. “I want to assure you that the BVN has assisted us a lot in the banking system. It has assisted us to check frauds, and we are working on a framework, that will enable us if not to blacklist customers, because of some legal implications, but at least to watch-list a customer that is identified to have been fraudulent, or have done what he is not supposed to do across the banking sector,” he said. He said the PSV 2020 strategy is aimed at providing a roadmap for efficient payments system infrastructure that would be nationally utilized and internationally recognized. “The payments system plays a very crucial role in any economy, being the channel through which financial resources flow from one segment of the economy to the other. In setting out the objectives of the National Payments System (NPS), the goal is to ensure that the system is available without interruption, meet as far as possible, all users’ needs, and operate at minimum risk and reasonable cost,” he said. He added that the BVN project is jointly undertaken by the CBN in collaboration with the Bankers Committee and remains a strategy of ensuring effectiveness of Know Your Customer (KYC) principles. “Each Bank customer is given a unique identity across the Nigerian Banking Industry, including Nigeria bank customers in Diaspora,” he said. The CBN Director said the number of BVN linked to customers’ accounts as at August 23, this year was 36.7 million while the total number of individual customers in the banks was reported as 59.9 million as at the same date. “Any bank customer resident in Nigeria without a BVN would be deemed to have inadequate KYC while effort is on-going to ensure that customers of Other Financial Institutions (OFIs) such as Microfinance Banks (MFBs) & Primary Mortgage Institutions (PMIs) are brought into the system begin to get their BVNs,” he said. Mr Fatokun said the e-Payment remains an initiative of CBN under the Payments System Vision 2020 as part of the overall FSS 2020 Strategy adding that one of the CBN mandates is the promotion of a sound financial system (Section 2 (d) of the CBN Act 2007). He disclosed that Section 47(2) of the CBN Act 2007, stipulates that the CBN shall continue to promote and facilitate the development of efficient and effective systems for the settlement of transactions, including the development of electronic payment systems, adding that the promotion of a sound financial system entails active support for the effectiveness, efficiency and systemic safety of the payments system.